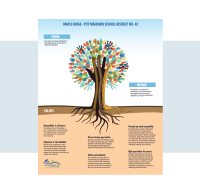 The Maple Ridge – Pitt Meadows School District makes its facilities available on a rental basis to groups, organizations and individual members of the public. The SD42 Facility Rentals department handles all booking requests. Current community and commercial hourly rental rates for Maple Ridge – Pitt Meadows School District facilities are listed in the table below. Market rates for 2017/18 are based on rental rates adopted by the Maple Ridge – PItt Meadows Parks & Leisure Services Commission. 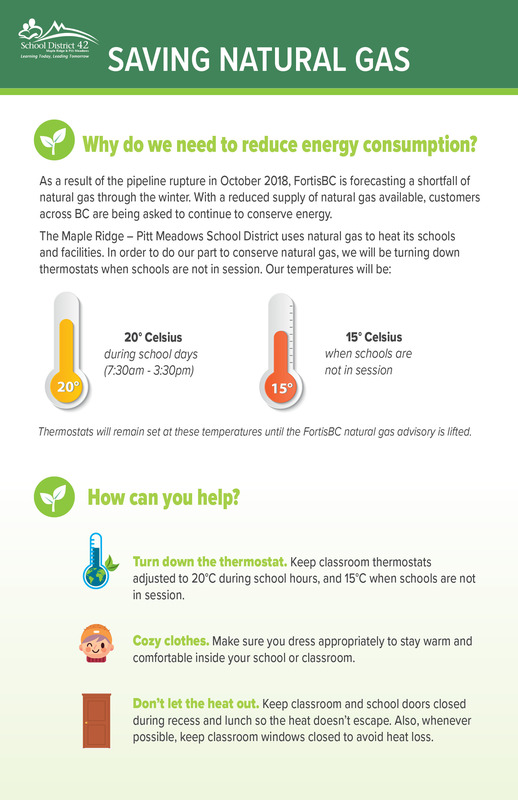 Visit FortisBC for regular updates on BC’s natural gas supply and tips for reducing natural gas use. * In past years, the Maple Ridge – Pitt Meadows School District has subsidized facilities rentals for youth non-profit groups, absorbing the majority of costs associated with these rentals out of its own budget. As of January 1, 2014, however, the school district is no longer able to maintain this subsidy. Rental rates for youth non-profit groups have consequently been increased to ensure full cost recovery. The school district will not be realizing a profit from these rentals. NPO Preferred Preferred rental rates for activities involving primarily school-aged children (under 19) organized by a Non-Profit Organization. NPO Rental rates for Non-Profit Organizations (“NPO”) defined as registered charity, club, society or association organized for purposes other than profit. Private Rental rates for private entities – an individual or a group that is neither a commercial entity nor an NPO. Commercial Rental rates for commercial entities – an individual or a group operating a business or activity for profit. Licensed Child Care Shall include licensed child care providers as defined in section 85.1 (1) of the School Act. School Use Regular school curricular and extra-curricular activities, including meetings of the school PAC.